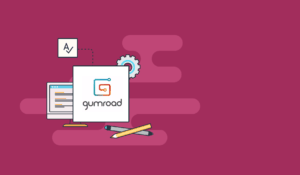 Gael’s Introduction: Hey guys, in today’s blog post we have Hernan from semantic mastery showing us how they managed to generate $10,000 in sales with a very small audience and almost no budget. I was a bit reluctant about posting this at first because it is an SEO industry case study and I tend to avoid these but I liked this one because it is different from what most other marketers do or talk about. Plus, it is something that can work even if you are not the most prolific writer out there or ​don’t have money to spend in expensive tools and could work in most niches. First off I wanted to shout a big THANKS to Gael for the opportunity to post on Authority Hacker! In this post, I want to show you how we gathered a small but very responsive fan base and generated $10,000 in 1 week by giving away a bit of our time and sending just 4 emails. As you may know already, if you want to grow your business you have to give away a ton of value to your audience for them to trust you. Giving away one hour of your time for free weekly can yield surprising results. I know it because it is exactly what I did in this case study. 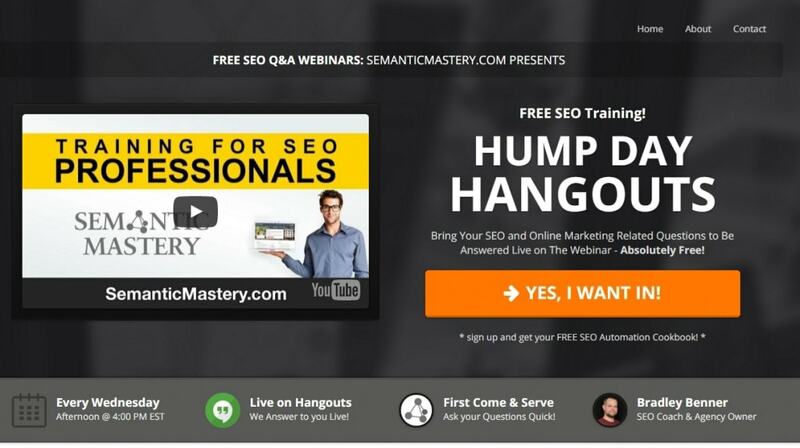 Over the past year or so we have been giving away one hour, every week, to answer SEO questions live using the Google Hangouts platform and Live Events. 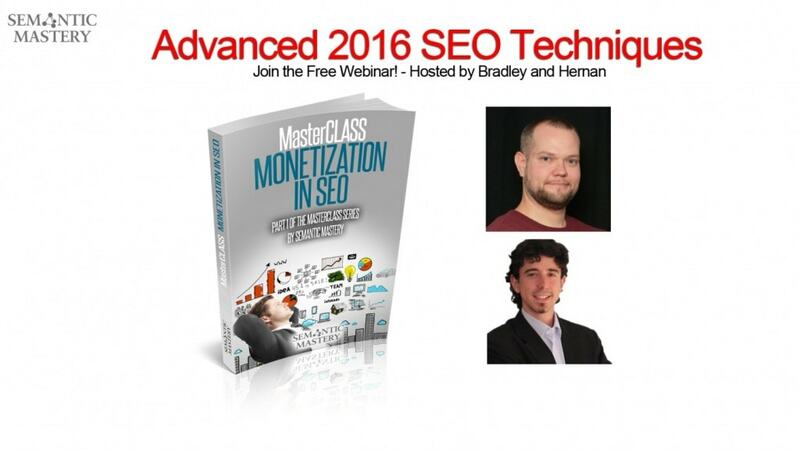 We created an event and invited our visitors to join us and just ask their SEO related questions, which we answered to live. This simple concept has proven to be amazingly powerful, since we leveraged on the power of Google, YouTube and Live interaction to grow our authority. 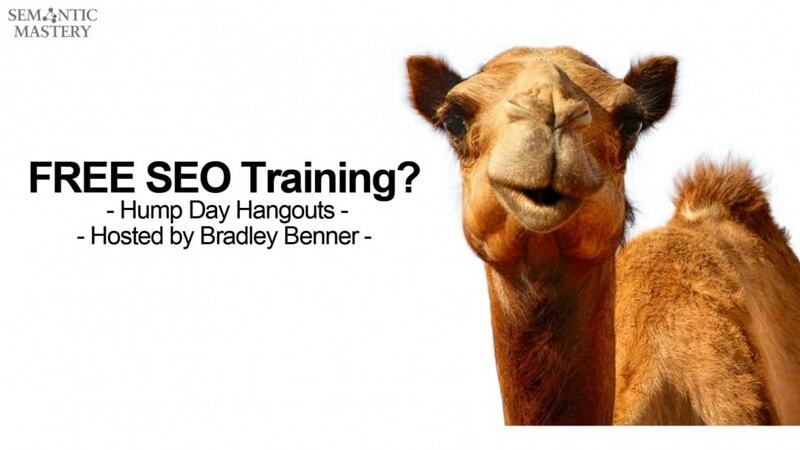 In fact, this weekly SEO Q&A called “Humpday Hangouts” brought us more success that we could ever imagine. So I decided to also implement this strategy in the Spanish Market, using the same format. That is a smart one. If you or your team speaks more than one language, taking something that is working for you and exporting it to different market is a quick and easy win. We started a small Facebook campaign to grow our subscribers list initially, then we sent out the invitation to the events as they were happening to our subscribers. As we moved forward both in English and in Spanish, the events started gaining traction in both languages. From 10 to 20 live attendees when we started, we are now at 150 average, and there are so many questions we usually don’t get to answer them all! The audience growth over time is clear when looking at the Youtube views in the creator studio. In fact, the strategy has become so powerful that the events became quite crowded people are sending out video clips, memes, and other funny stuff to grab our attention and try to get their questions answers in priority. First come, first serve. That’s how we manage it and people are now rushing in the webinars to ask their questions! This is super powerful and because of the attention we gave to people, people were rushing in to join our email list. That is a very interesting point. People were willingly going to Semantic Mastery’s website to sign up for their email list and eagerly waited for their emails. This is something that few people understand: not all subscribers are created equal, far from it. You can gain a subscriber by tricking them to sign up for your list in which case they will see the follow up emails as an annoyance or you can give value upfront and they will see the follow up emails as something of value. The conversion rates from these 2 kinds of subscribers are miles apart and I think that is because these guys used a value first approach​ that they managed to make so much money from such a small email list. How do you Start your Own Hangout on Air? 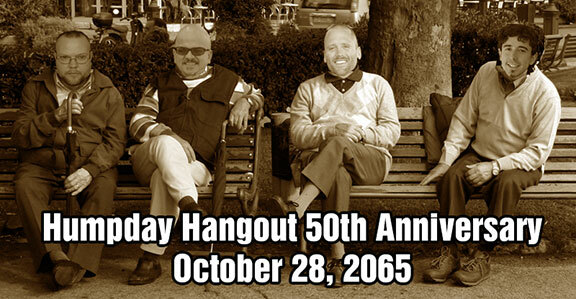 The process of starting your own Hangout on Air is pretty straightforward. Then click the Create Hangout on Air button. Select the details of your event. Just pick your date, duration and circles you want to share the event with. Once you press Share, you will land on the event page, this is the page you should email / share with your audience for them to attend if they do not follow you yet on Google+. 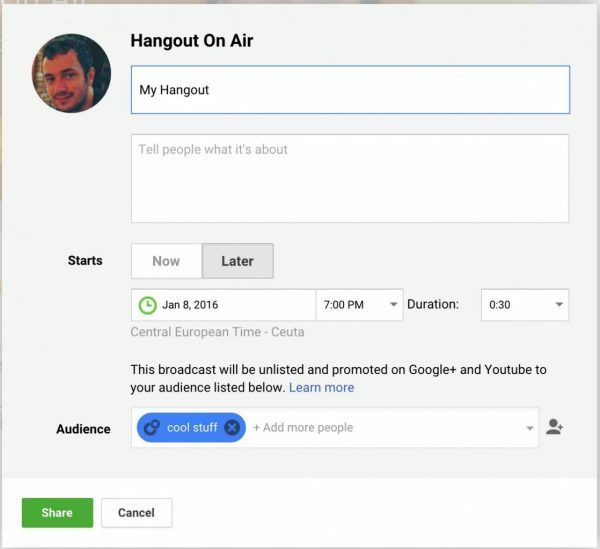 When the time comes and you are ready to start broadcasting the event, you can click on Start Hangout and then Stream Live to actually start presenting your live webinar. To see how one of these live hangouts pages feels like once populated, just check one of our past events here. 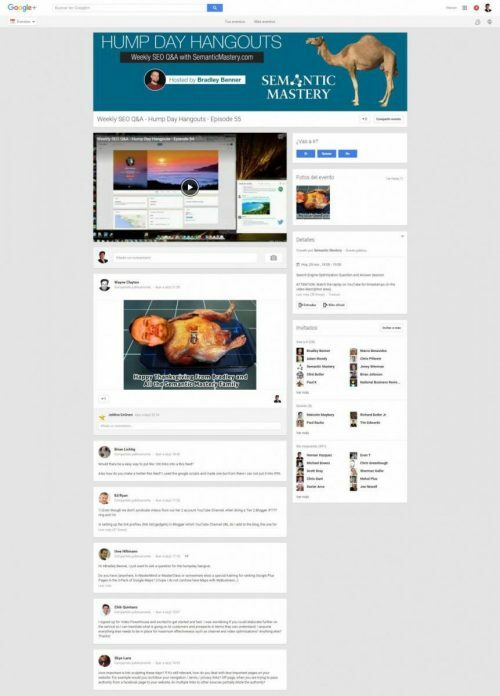 You can then screen share, leave comments on the Event’s page and invite other people to be part of the webinar. In fact, that’s what we are usually doing: Some of the partners will launch the Hangout from the Company’s official page and the rest will join with our users. Remember that this is live and there usually is a small delay between you actually saying things and your attendees hearing / seeing what you are showing. Google Hangouts on air are super powerful for a free tool. I know for a fact that John Lee Dumas from entrepreneur on fire runs all his sales webinars on them still without any more tech. However it is true that the delay can be annoying. We have up to 1 minute delay when we do our Authority Hacker PRO webinars. Other than that they are awesome. ​If you are looking for a more evolved version of Google Hangouts, we use Webinar Jam together with Thrive Leads for registration and it is a really powerful setup (but it costs some money). But Will it Make Money? This One Hour per Week approach has generated tons of authority for my partners and I.
Facebook friends’ requests, Twitter followers and LinkedIn contacts have dramatically increased. And the main part is that we are carving out space and making a name for ourselves. This is, I think, the power of giving away highly valuable information just one hour a week. Plus, it takes a lot less time than putting together big blog posts in the end. But having tons of subscribers doesn’t necessarily mean that you will get tons of sales, right? So here is how we managed to monetise this now engaged audience. There is absolutely no point of giving away and creating a ton of buzz if you don’t have a funnel in place to capture all of that traffic. So first off, we offered people to subscribe to be notified about the events by using a traditional squeeze page. If you want to construct landing pages easily we recommend Thrive Content Builder (review) & Thrive Leads together, they will save you a monthly fee for a service like Leadpages. Google Hangouts and Live Events made things a bit hard since we couldn’t actually force the opt-in on the event’s page. But many people will signed up anyway to be notified of the next live Q&A as they are seen as highly valuable by our followers. Also, we sometimes used the content upgrade idea to offer bonuses during the Q&A’s and get people to opt in. A list of valuable domains, a discount for a tool or a PDF with extra insights about the topic covered on that particular date. Sometimes, we also used a social locker to get our audience to spread the word about our little events. Facebook ads also helped when we started the events and I think they are a great way for you to implement this tactic if you don’t yet have an audience. 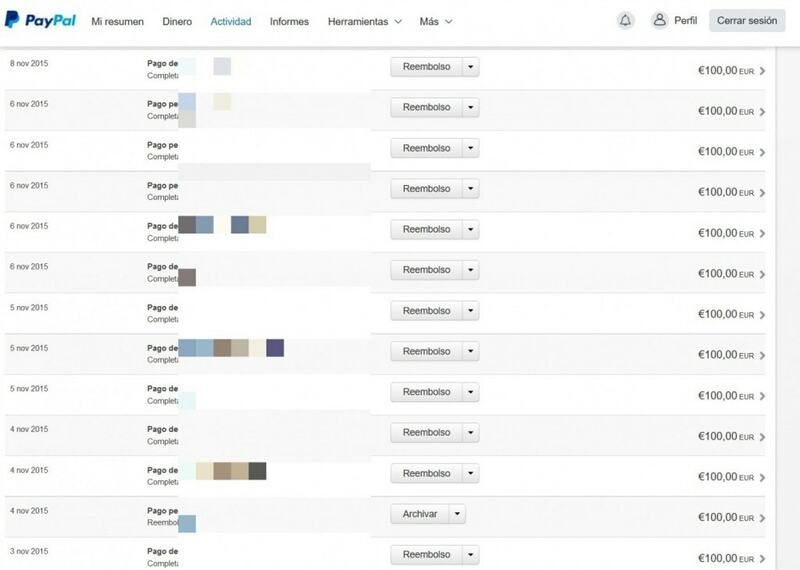 We started our audience from scratch on the spanish market and managed to get $0.01 clicks to our opt in page! Easy way to grow your audience. Facebook ads in non english speaking countries are still dirt cheap. There literally still is pennies to be traded for dollars in these countries so if you speak another language give it a shot. So once they opted in, the subscribers started receiving a follow-up sequence with the previous episodes regularly. This was done with the intent to create authority and rapport. In fact, we created a set of emails that took them through the entire SEO strategy we recommend our followers to use, just by sharing bits and pieces of older videos. 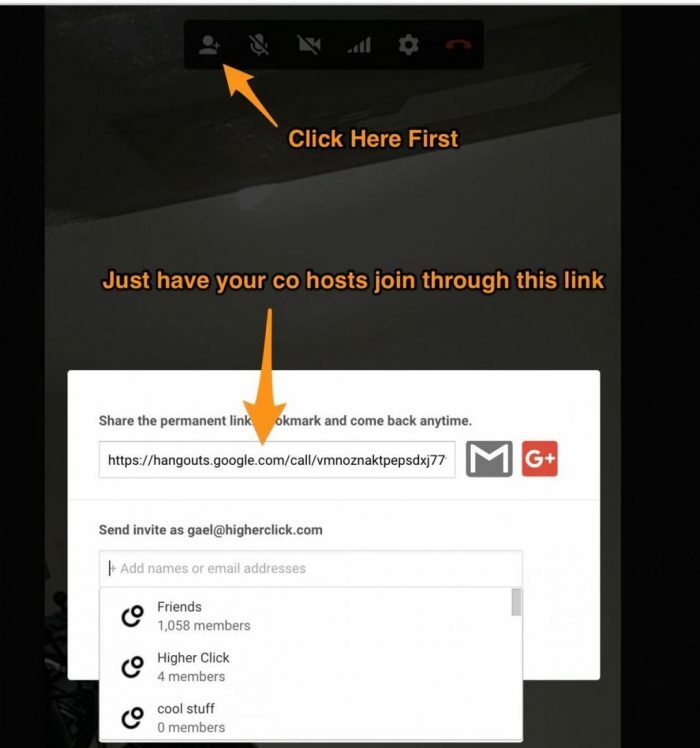 The neat thing with Google Hangout on Air is that YouTube records and saves the entire event on your channel automatically, so we were just sharing those URLs with the new signups. 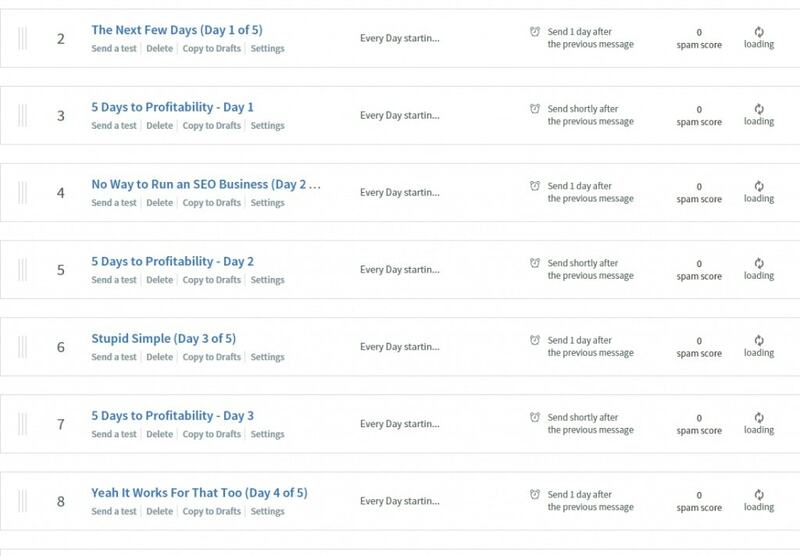 The follow-up sequence also sent them to a squeeze page where they could opt-in to the early birds list for an SEO course we were building at the time. And there lies the magic of high $ per subscriber. Sure, they only had 800 people to pitch to but they prequalified them twice before pitching the product. I assimilate this process to the process men used to separate gold from dust during the gold rush. You run things through different layers of filtering and what you have left at the end is gold. By doing that, we created expectation about the upcoming SEO course and seeded the idea in the mind of our prospect that our best stuff would be paid. We also mentioned time and time again that, if the free information was THAT good, it could only get better on the paid course. Once we decided to open the new course, we crafted and emailed an exclusive offer for subscribers only. We did not mention that on the live events, but we decided that the course could only be purchased at a discounted rate for the time of a weekend (thus creating scarcity). We sent out 4 emails: one on Friday, one on Saturday and Two on Sunday, playing on the scarcity. In the end, we sent 4 emails to the waiting list of slightly more than 800 people and made 20 sales, at 490 euros a pop in just 3 days. We also offered a payment plan option where people could get in for just 100 euros and pay the rest at the end of the month. As you can see from the screenshot below, this offer was quite popular and helped us close a bunch of sales. Scarcity is an absolute killer when making offers like this. Even if you are a poor copywriters (like I am), put a timer on your offer and tell your audience they won’t be able to get this deal when the timer reaches 0. The payment plan is interesting as well, especially if you anchor the true value of the product then offer people to get it all today for a fraction of that price. Right now, after the offer expired, we keep on going with the Live Events, even if the course is sold out. However, we want to keep on building authority and trust with our audience while also putting more people into our funnel. In 2016, we aim to generate recurring income by setting up membership programs and masterminds. But this is story is how we got started from the ground up on very low budget, using the power of One Hour a Week. I know that each niche is different and each audience has slightly different needs you will need to discover and cater to. 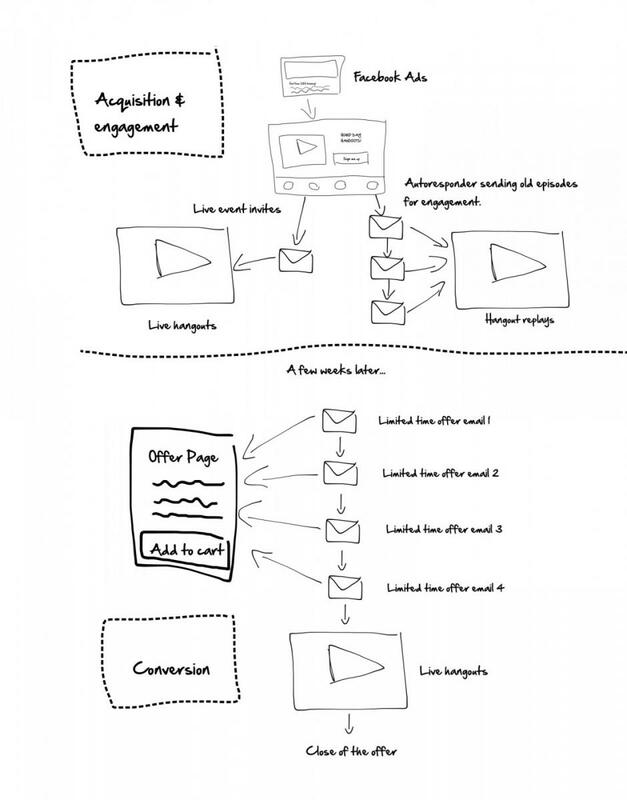 But implementing this tactic is extremely simple and drives engagement up massively. Plus, it does not require ANY money so no excuse on that side! Ask your audience. If you already have an email list, some Twitter followers or Facebook friends, ask them what they’ll like to learn about or what they need for their business or what they need in their life. 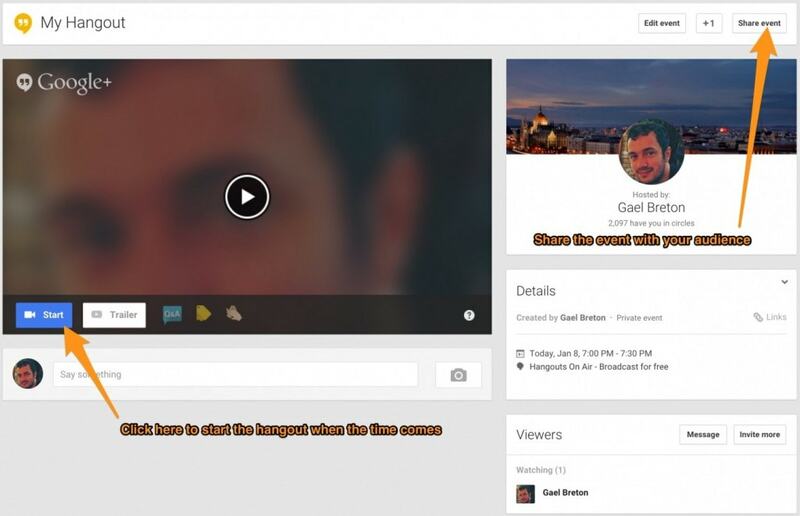 Make 3 to 4 episodes around that and invite them to join, interact and share with their peers. Setup a landing page with the examples of the first 2-3 episodes and start capturing emails. Notify your subscribers about the new and upcoming events. Create rapport and answer questions live online. So go ahead and take massive action, learn the ropes and give away value. 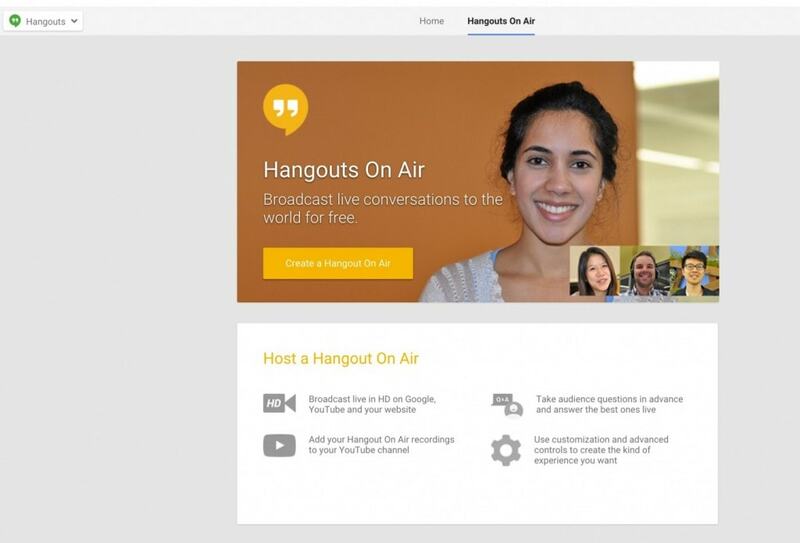 There you have it, the free Google hangout tactic to engage your audience. Is it a 7 figure / year formula? Probably not in that form but it is a great starting point if you have any kind of expertise and are looking to grow an engaged audience. The problem with advertising usually is that people sign up but rarely engage and that is why the cost per conversion is usually a lot higher than organic traffic. The free hangouts are a great way to break the ice. They are more casual than regular webinars and don’t necessarily have sales pitches at the end which brings the guard of the new subscribers down. Excuse my terrible drawing and click on the image to zoom :). ​I might try some variation of this tactic to bring the engagement of the new Authority Hacker subscribers up this year, I will keep you posted on the results. 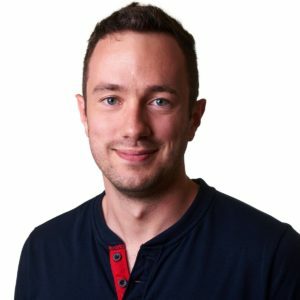 I am an Internet Entrepreneur and SEO professional, helping businesses reach more audience by building highly profitable funnels and marketing strategies. Most of my students are growing their online business by applying the techniques I show at HernanVazquez.com. On my website and my podcast you will be able to learn the inside outs of a super successful online business, getting more subscribers, turning them into purchasers and making effortless sales with ease and value. Me ha sorprendido verte por aqui, de forma muy positiva, jeje. Nos hemos cruzado mas de una vez por Facebook, me alegro que la estrategia te haya funcionado y esos Hangout hayan tenido resultado. I dont know they were launching this funnel, good job! Hernan, you sneaky little devil. 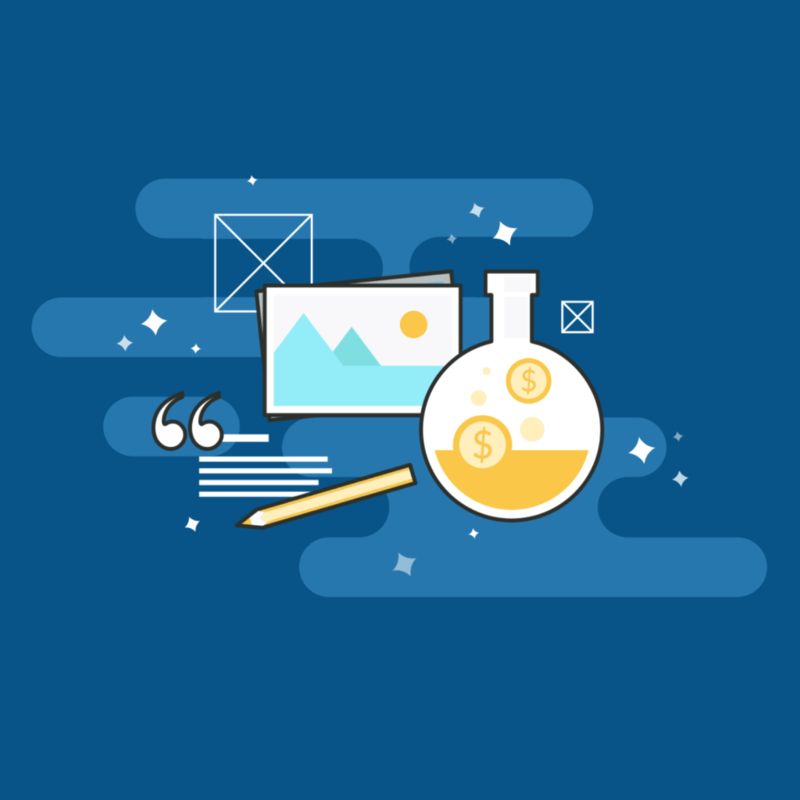 Slipping in the scarcity right away the webinar is a genius move, because it really does create friction to make the leap and purchase a product. Especially after one has shown enough interest to get into the webinar. I’m very frugal myself and this is one fo the few sales techniques that really “sells” me. Hey Alex. Yes it works really well. But also we pushed scarcity over the weekend with a hard date before going public with it. Since the space was super limited, the waiting list worked it’s magic too. Thanks for your comment! I think the author of this guest post is a marketeer that knows what he’s doing, however he’s not an SEO expert by all means. I listened to a few of the quesions he answered and his advices are harmful for a sites rankings! It may be the case I haven’t reviewed his stuff in depth. I was more interested in the case study showing you guys can generate 5 figures with 0 budget. I’ll let Hernan reply to the tips thing but it would help if you were more precise as to what he does wrong. Hey Dennis! Thanks for commenting. I’d love to know your feedback about my “harmful” techniques, since 95% of my students are having good success with their businesses and rankings. Thanks! Gael is the boss with his insights! very inspiring read, i never manage to get 0.01 facebook clicks! Im wondering if its something to do with the demographic….